Damage from feather pecking and cannibalism presents severe welfare problems and has major economic implications for poultry producers. The problem is one that will only be compounded when beak trimming is banned for welfare reasons. While farmers have been told that making adjustments to their management systems - such as providing enrichment tools and more space - will virtually eliminate the behaviour, recent research suggests that this is unlikely to be the case. According to research conducted by Dr Werner Bessei of the University of Hohenheim, Germany, feather pecking is a genetic, not management, issue. Based on their results, Bessei and his fellow researchers believe a better understanding of poultry genetics could lead to a reduction in cannibalism and feather pecking in birds. Most scientists believe that feather pecking is the result of misguided foraging behaviour. The strategy in the fight against feather pecking, therefore, is to provide the birds with more occupation, like scratching and foraging. Other strategies include using diluted feed to divert attention from feather pecking to prolonged eating. Bessei believes the urge to peck is influenced by genetics, not environment. During the course of his study, he came across a group of birds that he called ‘super peckers’. While such birds accepted the occupation tools, they still went for feathers, and the researchers wanted to know why. “Whatever you do, you have a percentage of birds that will not stop feather pecking, and that can be disastrous,” he continues. 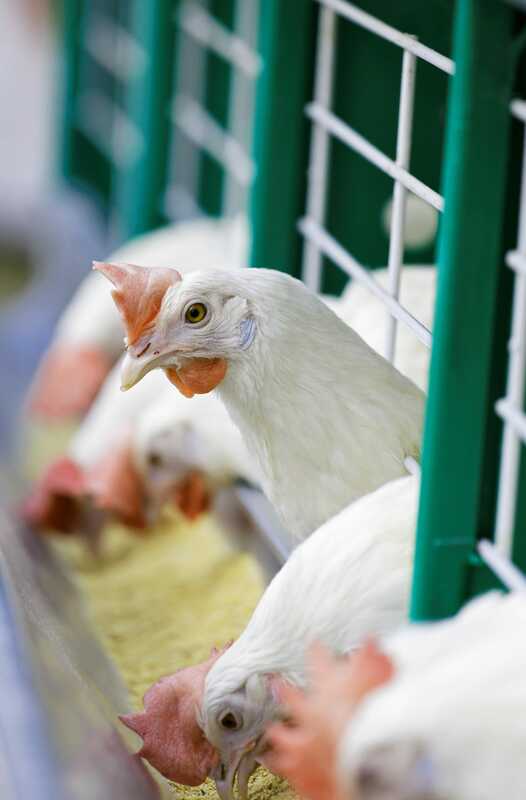 Bas Rodenburg, associate professor at Wageningen University, in the Netherlands, isn’t sure that feather pecking can be eliminated either, but he does believe that major outbreaks can be prevented through flock management. Rodenburg has also conducted studies on the heritability of feather pecking. Dutch farmers are currently preparing for a ban on beak trimming, set to begin in 2018. In one study, where the objective was to estimate heritabilities of feather pecking and the open-field responses of laying hens at two different ages, he concluded that gentle feather pecking and open-field behaviours may be used in selection to reduce the prevalence of pecking feathers in subsequent generations.